I like how the fishes move away when you get close to them. Nice idea on leaving the pond to finish the game too. Hello. I thought it might be of interest that--six years later--I have released a massive sequel/expansion to this Pirate Kart game. 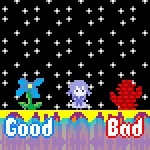 It is called Koi Puncher MMXVIII and it has so many game modes, ponds, varieties of koi, and support for up to four players. 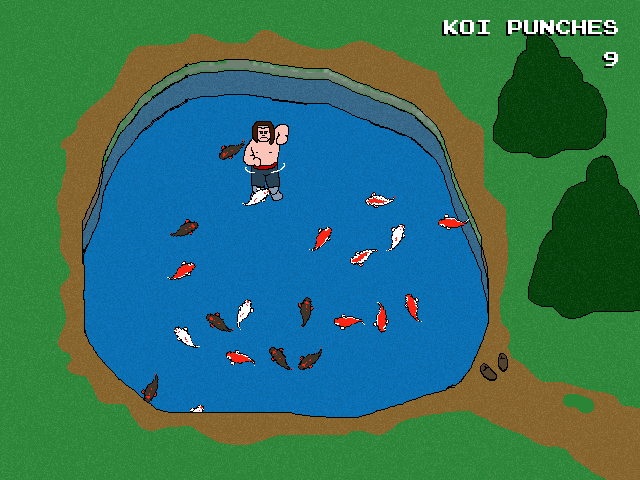 "...KOI PUNCHER MMXVIII has more than you ever knew you wanted from a game about punching koi. "